Our naturally grown Garlic crop will be ready for harvest in late July. We ship right across Canada starting roughly mid-August. 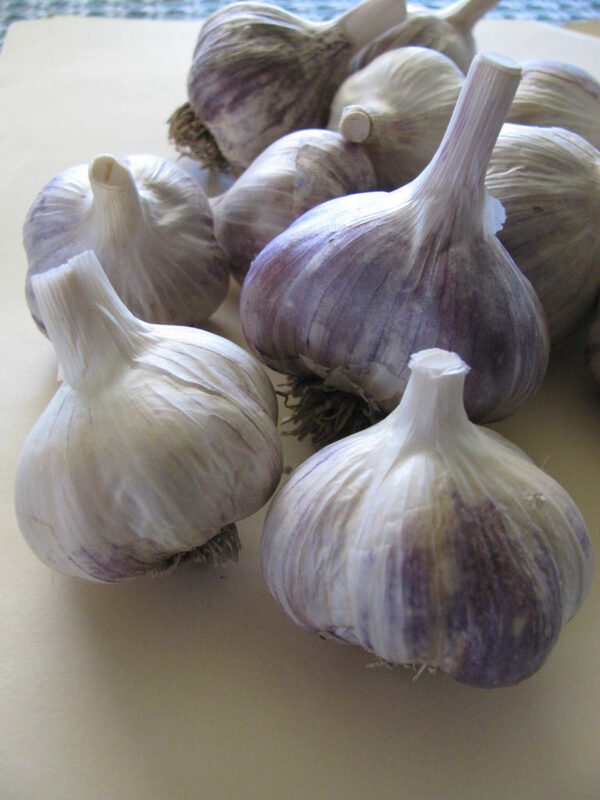 Order your seed or culinary hardneck Garlic right here on our website. After harvest, the garlic bulbs hang to dry in the barn loft and curing sheds, the ideal places since there is usually a gentle breeze blowing down the Valley. We leave them hanging for about 3 weeks and then begin the final cleaning process. This year we are selling four types of garlic – Yugoslavian Porcelain, Music and Russian Red. Interested? Read on and put in your order – it won’t last! We only grow garlic from Organic Certified seed. We use no chemicals here in our gardens. This is healthy, good for you garlic! Click on Varieties for information about our Garlic types. 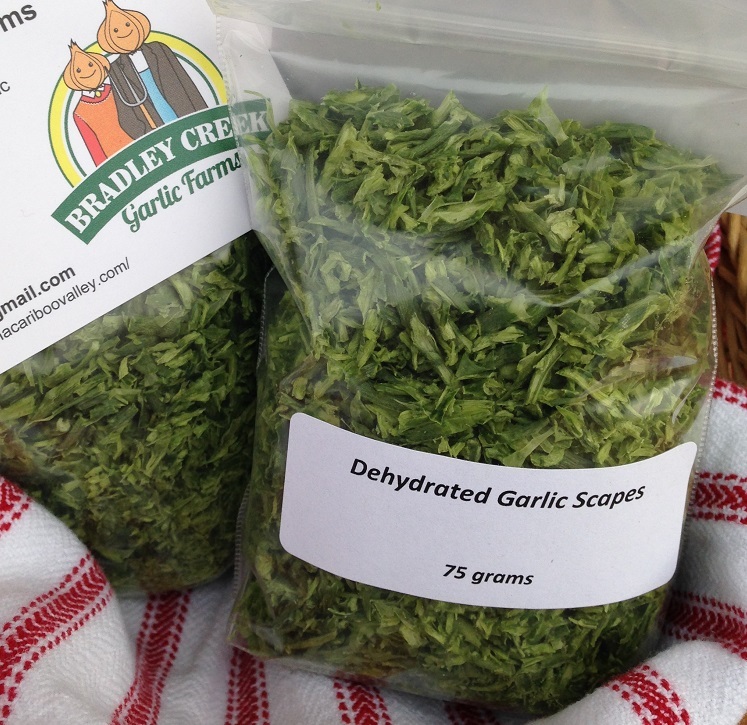 To order garlic, send us an email at bradleycreekgarlic@gmail.com and we will get your order filled. You can pay by email transfer or money order. 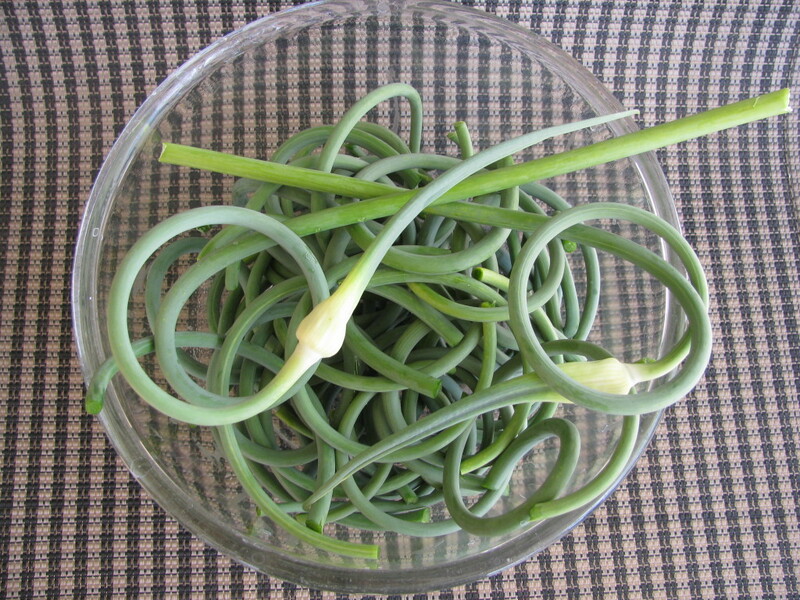 Garlic Scapes will be ready for shipping at the end of June (roughly – all depends on Mother Nature). 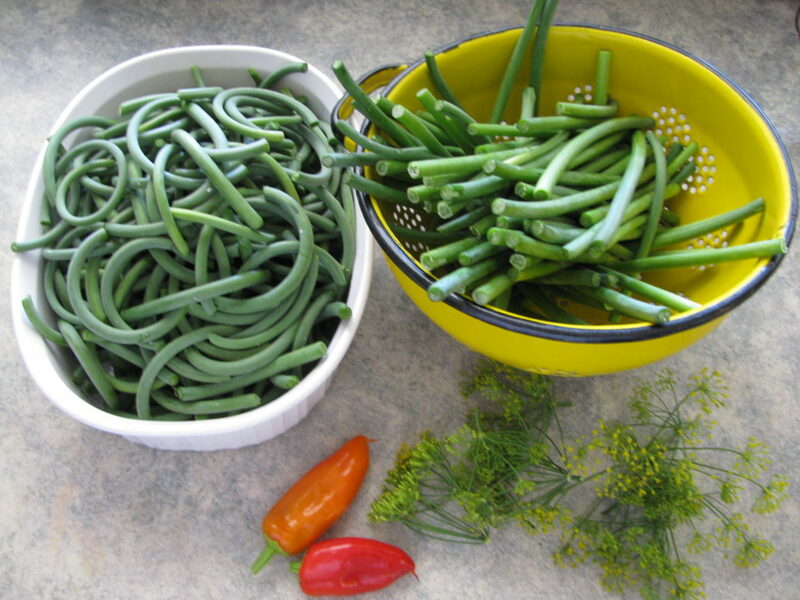 Garlic Scapes – from Hardneck Garlic. Available for sale late-June. I wrote about making Garlic Scape Pesto over on our other website, Country Living in a Cariboo Valley. 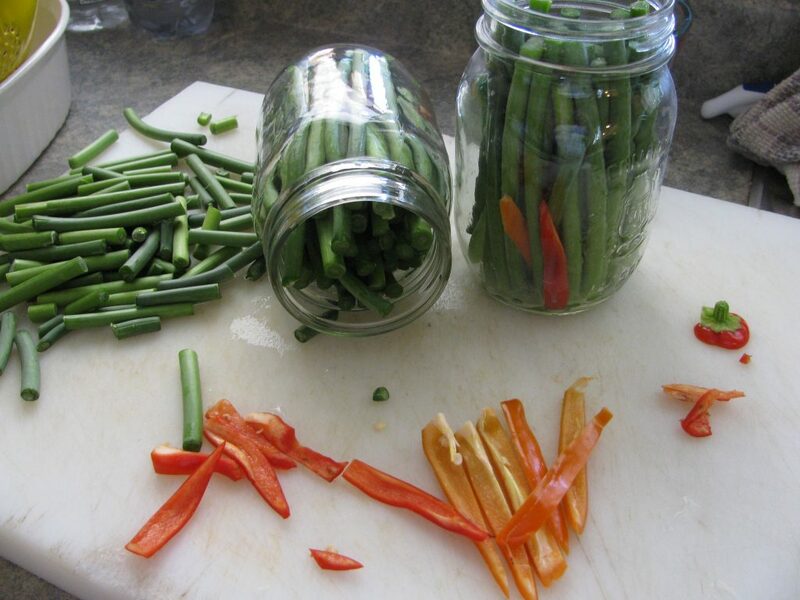 Pop on over and take a look – then spend a fun afternoon making your own Pesto! 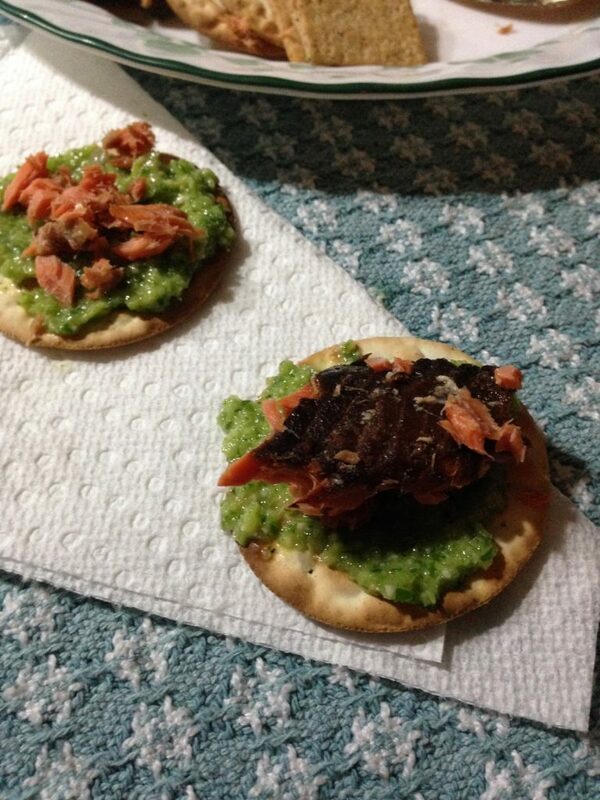 Here’s how we really enjoy our Pesto – smother a good quality cracker with homemade Pesto, then top it with home smoked Salmon!